Globe has just lowered the price of Tattoo E5220 WiFi stick, making it more affordable for Filipinos to connect anywhere with blazing fast 4G connection up to 7.2 Mbps. A real deal, since it will not only act as an wireless broadband stick, it can also accommodate WiFi enabled devices to connect to this wireless device. Also called a USB dongle, Globe Tattoo E5220 Mobile WiFi Stick has numerous features to serve. It can support up to 10 devices simultaneously, essential for group sharing, downloading, online streaming, and for research as well. With maximum speed and signal, you can even play online games along with friends. Before, Globe Tattoo E5220 Mobile WiFi Stick is priced at Php2,895, now it will only be priced at Php1,995 SRP, save Php900 on every purchase. Available on Globe Stores, and authorized retailers nationwide. 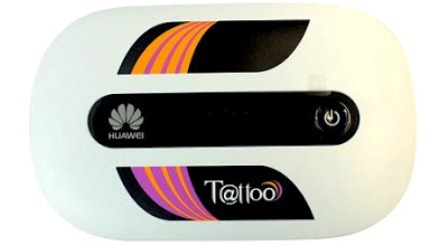 Additional Info: The Tattoo WiFi stick comes with 1 hour unlimited internet for free by texting FREE1 to 8888. Kindly visit Tattoo web management page at this IP 192.168.1.1 on your browser. Note: Internet connection is capped at 800MB limit.